Chickweed, also known as star weed or star chickweed, is a plant that is commonly found all over the world. The chickweed plant has small star-like white flowers and blooms from March to October. According to Teabenefits.com, chickweed is high in calcium, magnesium, potassium and vitamin C. These vitamins and minerals make chickweed tea an excellent source of nutrition with numerous medical benefits. Chickweed tea contains a diuretic property which enables the body to clean out contaminants through urination. It also reduces bloating, water retention and weight gain. According to Teabenefits.com, chickweed tea is also an effective appetite suppressant, aiding weight loss. Chickweed herbal tea can have many beneficial effects for respiratory ailments. 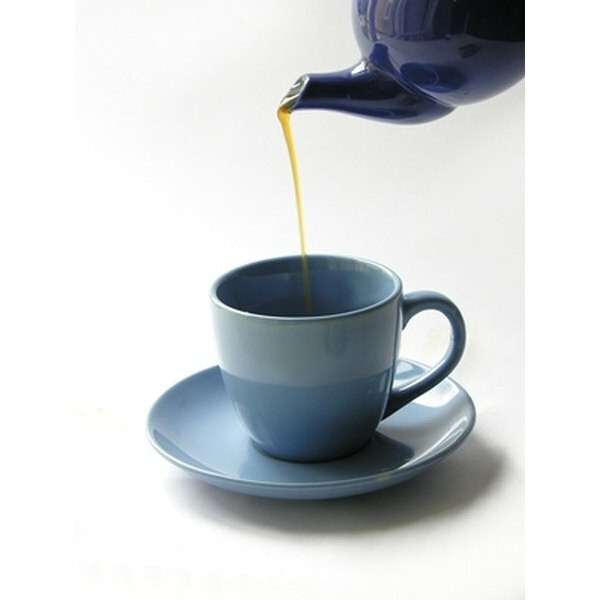 The tea can relieve symptoms due to allergies and asthma. It may also soothe respiratory infections, and may even soothe a smoker's cough, according to Brighthub.com. Chickweed tea contains saponins--chemicals found in most vegetables, beans and herbs that have beneficial health properties--which will gradually reduce thickened membranes of the throat and lungs and make breathing easier. Chickweed tea, according to Teabenefits.com, can promote clotting factors in the blood that will enable the body to stop bleeding in the stomach and intestines. Chickweed tea also purifies the blood, reducing plaque in blood vessels. This allows for increased blood flow, reducing the risks of strokes and heart attacks. Chickweed tea also contains an anti-inflammatory property. It is commonly infused in a therapeutic bath to ease joint pain. Chickweed tea is effective in alleviating the discomfort of arthritis pain, stiff back and stiff neck. According to Teabenefits.com, chickweed tea, if applied directly to the skin, can reduce swelling of torn ligaments. Chickweed tea can be directly applied to aid in treating skin irritations, acne and eczema, according to Digherbs.com. It also can be added to bathwater to speed up the healing process for rashes, burns, ulcers and abscesses. What Are the Health Benefits of Chinese Yunnan Tea? What Are the Benefits of White Sage Tea?